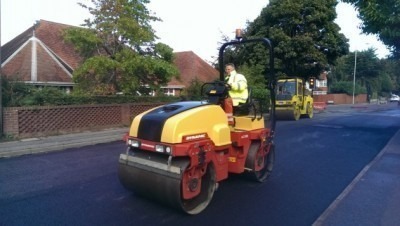 Do you require the services of a professional surfacing company? At The Surfacing Company, we supply driveways in Bournemouth that will add both practical and aesthetic qualities to your property. Not only will they provide years of use, but they high-quality tarmac will create a low-maintenance driveway that is easy to maintain. When it comes to having your Bournemouth driveways laid or refurbished, there is only one company that you need to turn to – The Surfacing Company. Our experienced driveway specialists have many years of experience in delivering high-quality driveways to customers all across Bournemouth. We make sure that all Bournemouth driveways we produce are tailored to the individual client. We have a large fleet of industry-approved plant equipment which enables us to resurface and renovate driveways in Bournemouth of all sizes. With a range of rollers, dumpers and paving machines, we can provide a comprehensive driveways Bournemouth service that will not be beaten by other companies in the area. To learn more about what we can do for your driveways in Bournemouth, read on below. How can our driveways Bournemouth team be of assistance? From the moment we arrive at your property, our tarmackers will go to work surveying your driveway. We operate with complete transparency and will supply you with a detailed overview of all work required as well as their associated costs. If you are satisfied with your quote, we will proceed with designing and installing the best driveways Bournemouth has seen. Once we have laid the tarmac, we will use specialist compression rollers to ensure driveways in Bournemouth that are both flat and level. When the product has set, you will then be left with a perfectly smooth driveway on which to park your cars or use for other recreational purposes. For a strong and versatile entrance that will add value to your property, our driveways Bournemouth company should be your first choice. Upon completion of your driveways Bournemouth service, we will ensure that the area has been hosed down and that all building waste has been tidied away. Our aim is to provide you with a driveway that will be ready for you to use in just a few short hours. In addition to laying down new Bournemouth driveways, we can also repair existing ones to keep them in full working order. Over time, cracks and pockmarks can appear leaving behind an unsightly appearance. We use the same high-quality tarmacadam found in our new driveways to restore your surface completely. Additionally, we can repair collapsed base layers and fill in cracks on driveways in Bournemouth, should you require us to do so. What are the benefits of our professionally laid Bournemouth driveways? There are many fantastic benefits to choosing professionally laid driveways in Bournemouth. To learn more about these great benefits, you should take a look below. You might be tempted to handle the installation of your own driveway, but this will likely not yield the results that you’re looking for. Without access to industry-grade materials or our professional expertise, it can be tough to replicate the same unbeatable results. With The Surfacing Company, we use tried and tested techniques to create driveways in Bournemouth that boast superb durability. If you’re looking for a low-maintenance solution, you simply cannot go wrong with our professionally installed Bournemouth driveways. Thanks to the careful way in which we design each driveway, all you will need to do is hose down the area to ensure that it remains looking its very best. By choosing The Surfacing Company, we will supply you with the most aesthetically pleasing driveways Bournemouth has experienced. Our company offers a wide range of customisable options including coloured tarmac and brickwork to create a surface that looks truly unique. Your driveway is typically the first thing people see, so why not enlist our experts today to provide you with a new drive that will be the envy of your neighbours. If your driveway has crumbled down to nothing, it could very well making selling your property a lot harder. Many properties lack off-road parking. Others might have off-road parking that is available on a first-come-first-served basis. By investing in our driveways in Bournemouth, you’ll have a safe and secure spot to park your vehicle. Why are The Surfacing Company the best choice for driveways in Bournemouth? As members of the NHSS, The Surfacing Company is a firm who you can trust to supply the finest driveways Bournemouth has experienced. Established in 1996, we have built a strong portfolio of clients and prior work carried out for hundreds of satisfied customers. Whether you are a domestic, commercial or industrial customer, you will always receive a high level of professionalism from us. As a company, we are fully certified by UKAS and are registered to ISO 9001 standards by BMTRADA. When you enlist the services of our Bournemouth driveways team, we will provide you with honest and impartial advice. With our superb tarmac aftercare guide, you will have everything you need to ensure that your new driveway lasts a lifetime. We are proud to say that our Bournemouth driveways service is highly recommended by a number of local councils and authorities. Previous customers will gladly assure you of how our Bournemouth driveways team will meet your exact specifications and complete your new driveway on time. Additionally, we take care to respect your property and family members by making sure that we cause the least disruption possible to your day. At The Surfacing Company, we regularly compare our rates against other companies to ensure our prices remain competitive. All work is completed by our highly trained surfacing team who go the extra mile to warrant that our clients receive excellent value for money. By using only the best tarmac and surfacing materials on the market, customers have the peace of mind that their new driveway in Bournemouth will stay in excellent condition for many years. 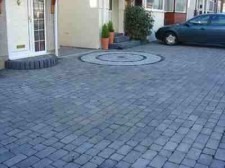 If you are looking for the best driveways in Bournemouth, then look no further than The Surfacing Company. Get in contact with our team today on 01202 240375 to find out more.